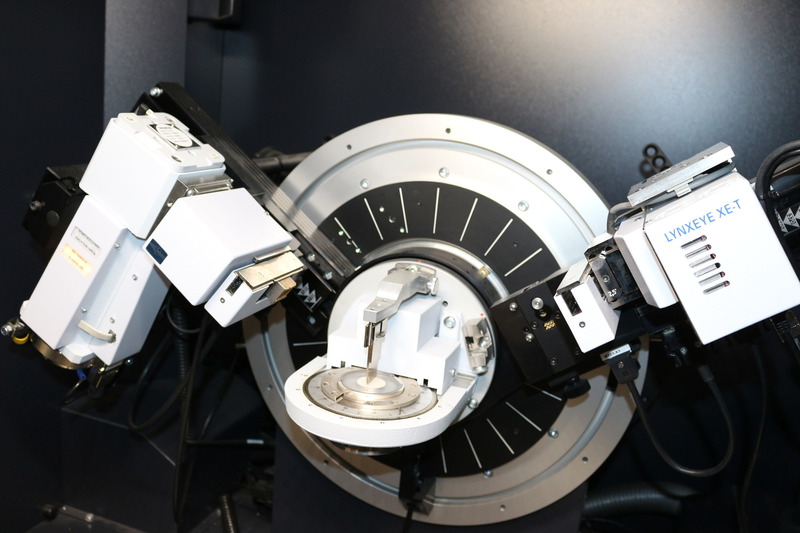 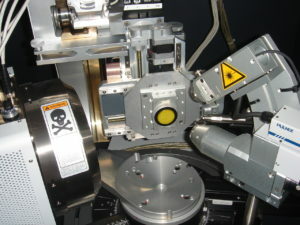 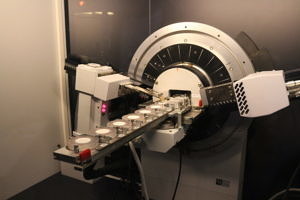 The Chair for Mineralogy operates 5 X-ray diffractometers. 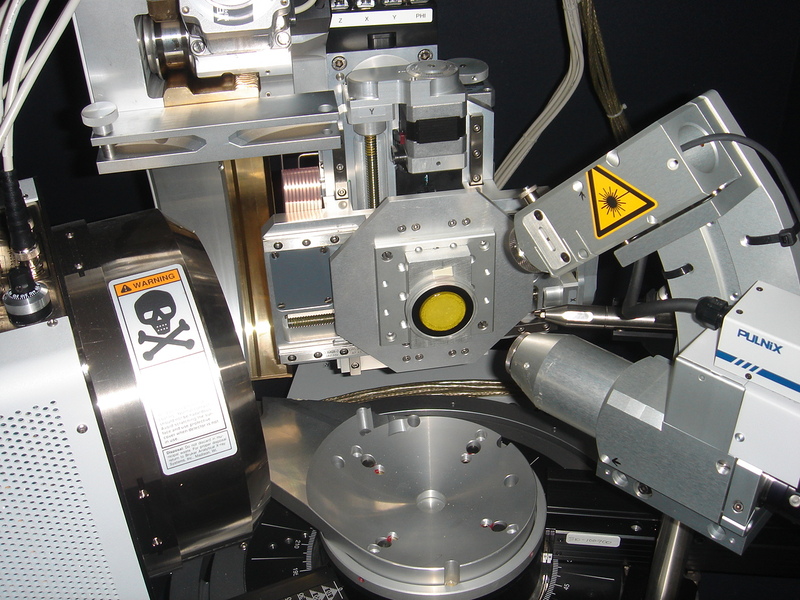 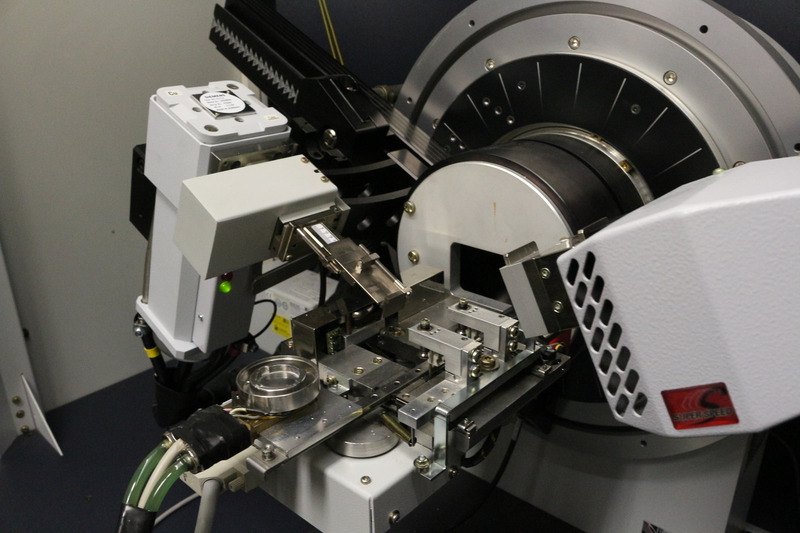 All diffractometers are specially adapted to the projects of the Applied Mineralogy Group. 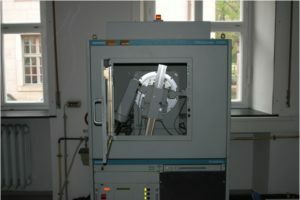 The focus of our group lies on quantitative phase analysis employing the Rietveld method. A special application is the in-situ phase analysis of hydrating cement pastes with custom made temperature controlled reaction chambers (16 °C – 70 °C). A time resolution of 10 minutes per X-ray diffractogram is made possible through the detection speed of the equipped position sensitive detectors.